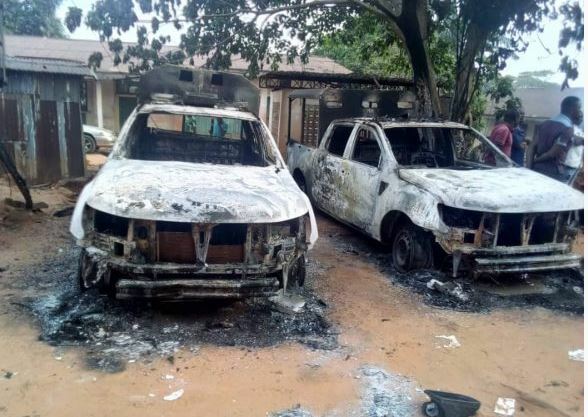 Home > Breaking News > Breaking: Hoodlums set Anambra police station on fire. 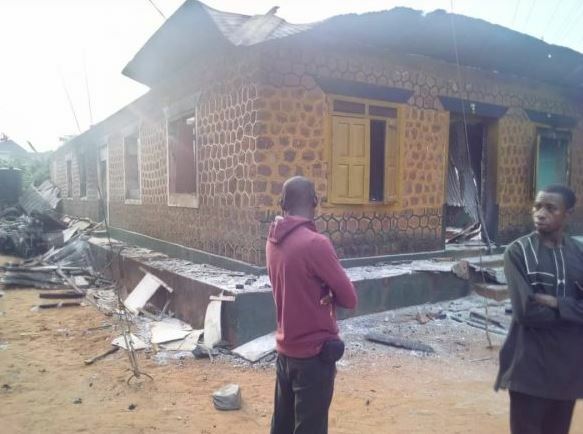 A police station in Ajali, Orumba North Local Government Area of Anambra State has been set on fire allegedly by hoodlums. Meanwhile in was reported that members of the All Progressives Congress (APC) are currently protesting at the headquarters of the Independent National Electoral Commission (INEC) in Rivers State. The protest is premised on the recent ruling by the Supreme Court over the stay of execution issued to INEC on fielding candidates for elective positions in Rivers State. However, policemen and soldiers have fired teargas to disperse the crowd. There is heavy presence of security operatives in the area, as the protesters are insisting that elections will not hold in Rivers if the APC candidates do not contest in the elections.